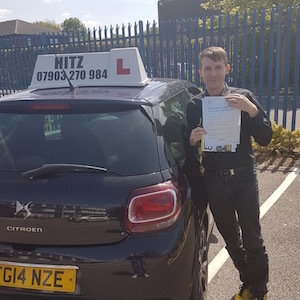 Hitz is best instructor with his help i pass my driving test. He is explain everythink in the way for me to understud. Hi is instructor that i recomend to friends. 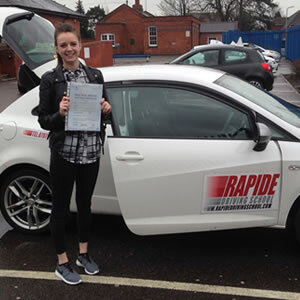 Join the 100s of students who have passed with us! 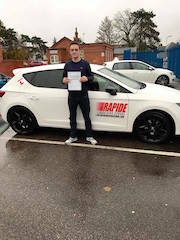 Matt is a great instructor and helped put me at ease straight-away in the car. Well recommended. 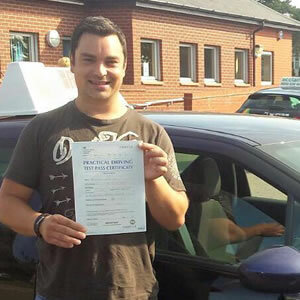 “Matt was a brilliant instructor. 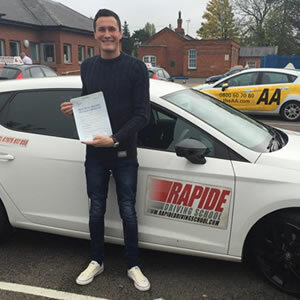 He was highly reliable and a very friendly person, who put me at ease with my driving, despite me lacking confidence and self-belief. 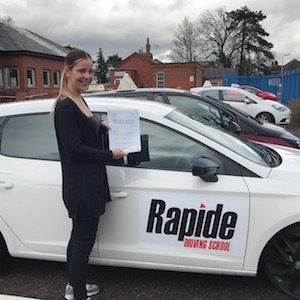 So pleased with Rapide. I’d had three instructors before I had lessons with Hitz and they were pitched just right for me. 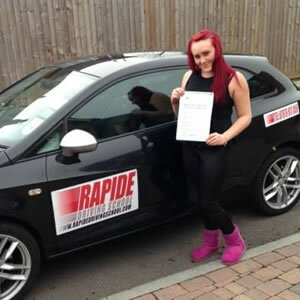 Am pleased to have passed my driving test today. Would definitely recommend. 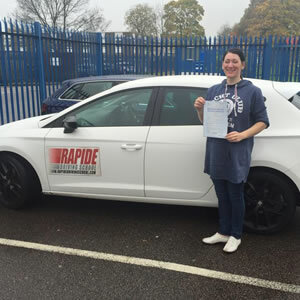 “I passed with only one minor and on my first attempt with Rapide. I loved the extra resources on the website such as the videos. 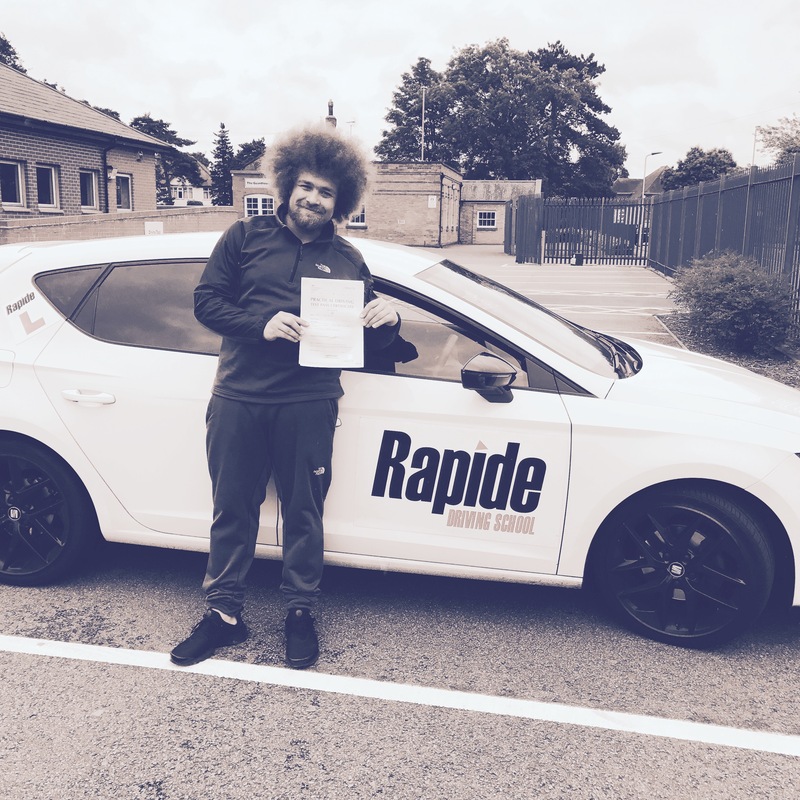 “We’ve had some great teaching with more than plenty of patience from Matt at Rapide. He’s been very flexible with lesson times and the odd last minute change we’ve had to make. I know at times we’ve not been the easiest customer to deal with but he has catered for everything we needed/requested. 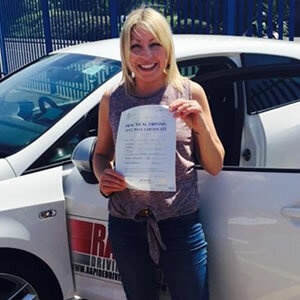 “Brilliant instructor, would definitely recommend to anyone. 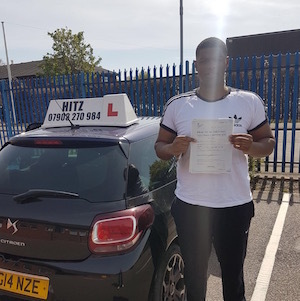 Passed with Hitz first time with no minors – just proves how good he is! 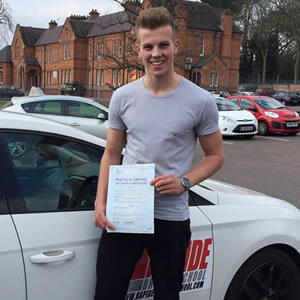 “No words can describe the gratitude I have for Matt, from day one Matt has literally made my driving experience an absolute dream. 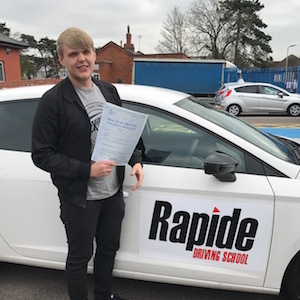 I had several instructors long before Matt but hadn’t really had the best experience, Rapide Driving School has by far an outstanding and professional approach when it comes to driving, never has Matt made me feel like giving up and gave me plenty of encouragement from the very beginning. 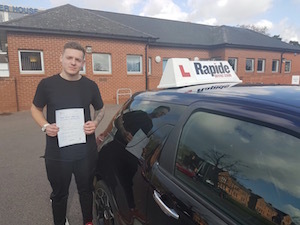 The methods covering every driving aspect are easy and simple to understand, I feel without Matt I would never have passed today and he always made me want to keep carrying on even when I felt like giving up. 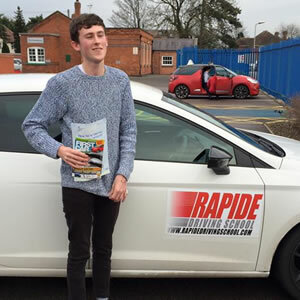 When learning to drive it’s important to find the right instructor and Matt has my full support on recommending him. Hitz was a great instructor and would recommend over anyone else. Knowledagable, flexible, all you need to get your hands on that certificate! Good job. 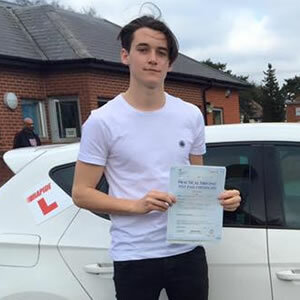 “Thanks to Hitz I passed my test first time with only four faults – over the moon. Matt is a great instructor who has lots of techniques to make learning to drive less daunting. 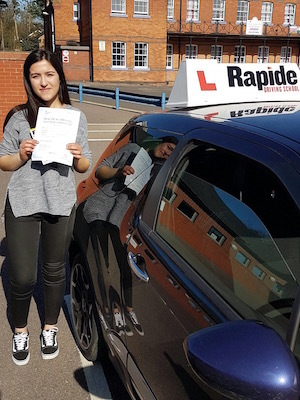 I lacked confidence to start with, but through regular lessons I was put at ease and given the confidence I needed to make positive progress. 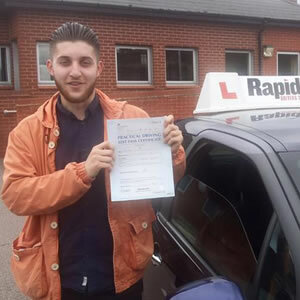 Matt always finds some positives in your driving, and gives constructive feedback to help you move forwards and get to your test in as few lessons as necessary. 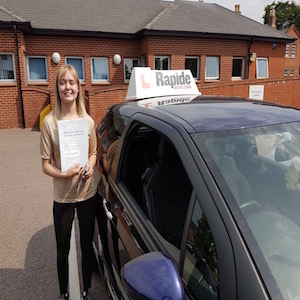 As a result, I was pleased to find that I passed first time, after only 25 lessons. My driving instructor was Hitz!! 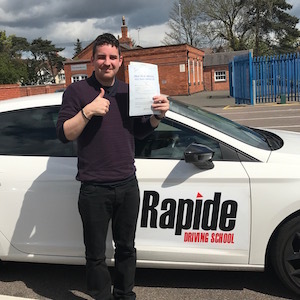 Best instructor I’ve ever had, couldn’t recommend him enough to other students who want to learn to drive, comfortable, reassuring and easy going. When I lost all confidence Hitz help me gain that back and help me get my pass I wanted. Thank you! 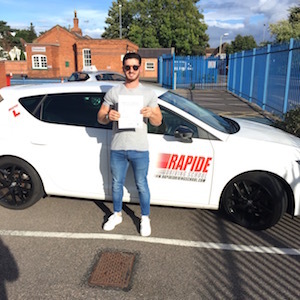 “Matt was a great instructor. He explains everything thoroughly in a way that would suit all, and whenever I was nervous, Matt would reassure and calm any nerves. He sets you up in a manner that you will be ready to go into a test confident you will pass. Hitz was an amazing instructor! Very patient, well-experienced and welcoming. Could recommed him to anyone. 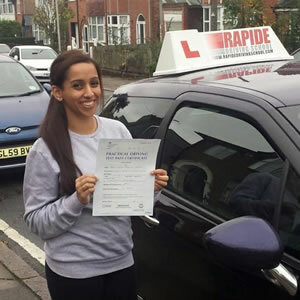 “Superb instructor! From start to finish Matt has been brilliant. 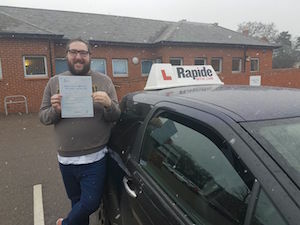 I was very nervous about driving but Matt found a way to settle my nerves, focusing on you as an individual with goals set after each lesson to bring the best out in you as a safe driver. 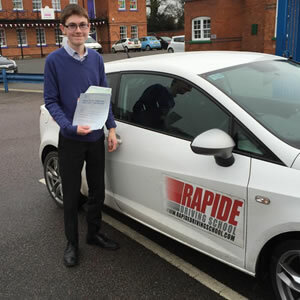 The driving methods implemented were very good and I liked the simplicity in which Matt would explain everything to me perfectly. 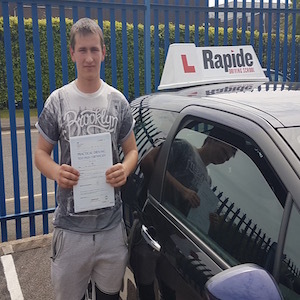 My level of concentration needed to improve, Matt helped me to to do this and become a better driver. 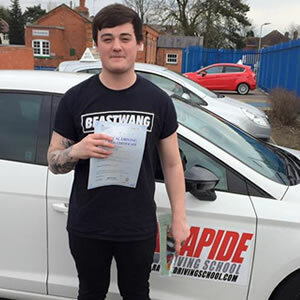 Lesson by lesson Matt would motivate me with wise words – he’s more than a driving instructor and goes above and beyond his duties. It’s much more on a personal level I feel I have made a friend. 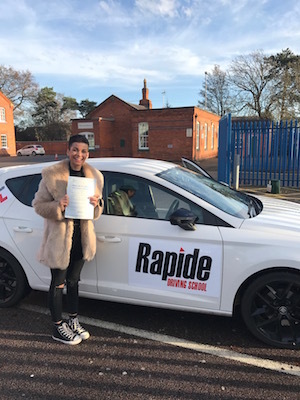 I thank you for pushing me and working hard with me to make me pass my driving test. Matt is an awesome guy and a great instructor. Would definatley recomend matt to learners. Thanks matt for all your help and il see you on the road. 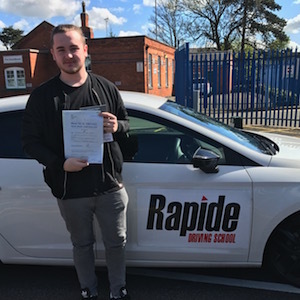 “Having tried to learn to drive on and off for the past 33 years, Matt was the only instructor that had the patience and gave me confidence to carry on and pass my test first time. 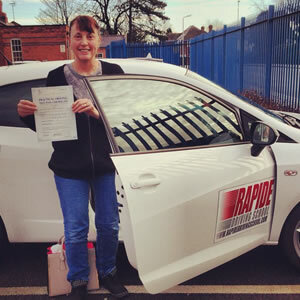 “Matt is an excellent instructor, he has a lot of patience and was very supportive along with a great sense of humour. 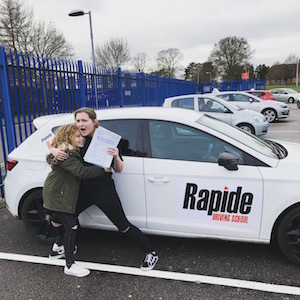 Every lesson we had a good laugh as well as learning how to drive!